Whether you are wanting to create a fresh look for your Edmonton home or your current window treatments are no longer meeting your needs, Design Abilities can help. 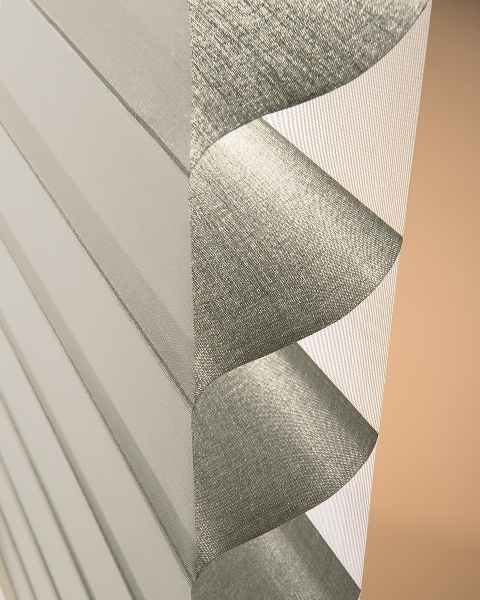 We offer the full product line of Hunter Douglas custom window coverings and the design possibilities are virtually endless. To help inspire you, we have put together some tips from our design team. 1. What type of light control do you need for your space? Do you need room darkening for light sleepers in a bedroom, or do you need light filtering for a room filled with food and fabrics? 2. Do you want window coverings you can see through, or do you want blinds or shades that will be raised and lowered frequently? 3. If children and pets are in the home, do you need cordless operation? These are just a few items that are important in determining the best type of coverings for your purposes. If you are happy with your current decor, such as flooring and paint colours, you may be looking to simply enhance the look with new window coverings. From custom draperies to custom blinds and shades, Design Abilities can help you choose styles and fabrics that will enhance the decor of your Edmonton home. Since there are literally thousands of patterns, colours and styles of fabric available, the best advice we can give you as designers is to allow yourself ample time to review the offerings. You will be living with your choices for some time and we really want you to be happy with your new window treatments. If you are redecorating completely, Design Abilities can help you create and implement the perfect design from beautiful flooring choices, clear through to the custom window treatments that will perfectly complement the decor. We highly recommend contacting your Design Abilities team for professional measurement of your windows receiving custom Hunter Douglas blinds however, the following tips can help you measure successfully if you decide to do it on your own. 1. Begin by measuring the inside width of the window opening at the top, middle and bottom. Make note of the shortest width, to the nearest eighth of an inch. This measurement is extremely important so your headrail for your blind will fit properly. 2. Measure the height of your window from the left, center and right, again recording the smallest measurement to the nearest eighth of an inch. 3. Measure across both diagonals. If these measurements are not similar, you may want to opt for an outside mount for your blinds to avoid them looking crooked after installation. 1. Allowing for a two-inch overlap at the sides, top and bottom of your window to reduce light when your blinds are closed, measure the width and height of your window. 2. When you measure for the height of the window, consider the type of mounting bracket for your chosen Hunter Douglas blind for the best fit. Book a consultation with Design Abilities to get the perfect Hunter Douglas blinds for your home. Or visit Action Flooring and Design Abilities at the Home Renovation Show January 29-31 2016 at Booth 1801, Hall B to discuss design options.